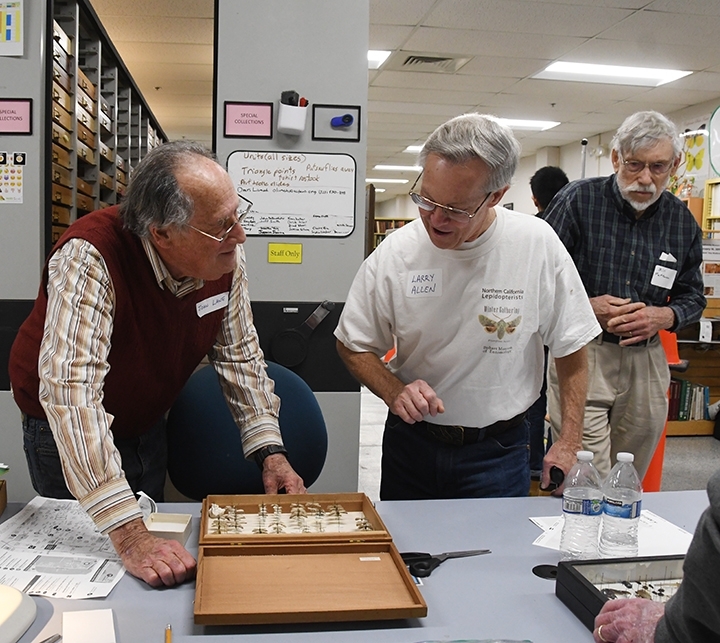 It was a gathering of lepidopterists. 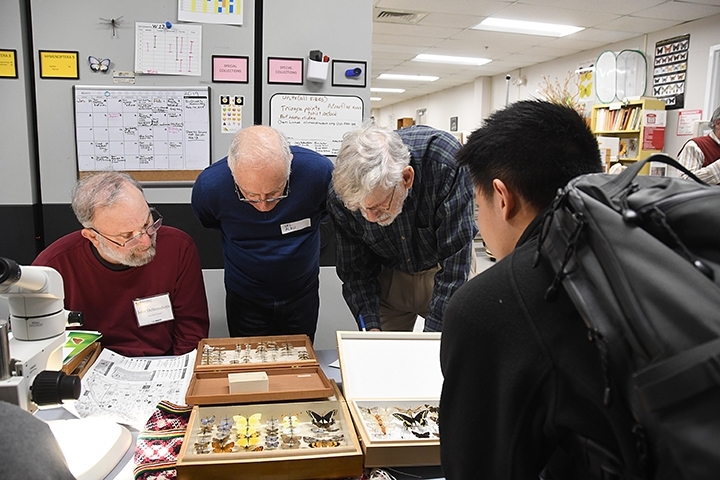 A veritable Who's Who of lepidopterists. Some 25 lepidopterists and others interested in butterflies and moths gathered recently at the Bohart Museum of Entomology, UC Davis, to work on identifications, share research information, and enjoy camaraderie. 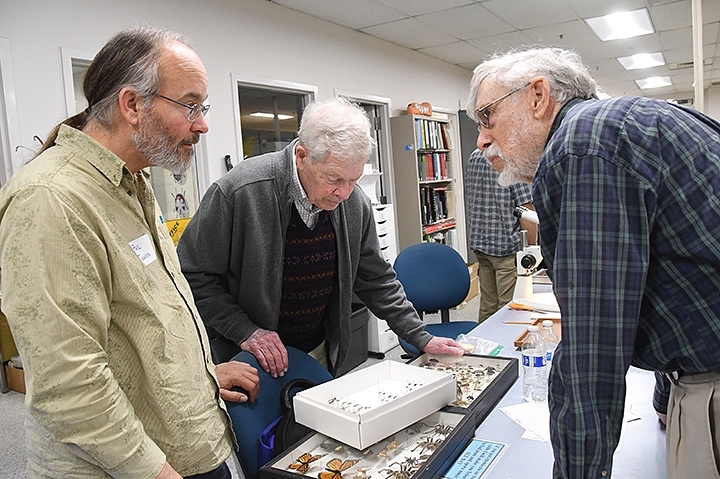 Entomologist Jeff Smith, who curates the butterfly and moth specimens at the Bohart Museum, coordinated the event with fellow Bohart Museum associate John Debenedictis. "It always takes place the last Saturday of January," Smith said. "We alternate each year between the Bohart Museum and the Essig Museum at UC Berkeley." "John and I sort of work together every other year to host this gathering at the Bohart Museum," Smith said, "although it doesn't really involve much work on our part since all the attendees are self-winding and easily find ways to stay busy." 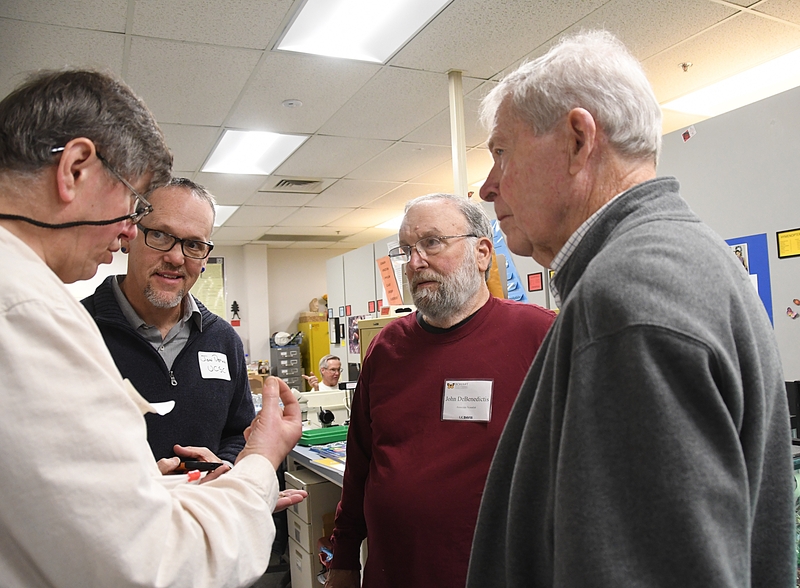 "We're a dying breed," said Kelly Richers of systematists. 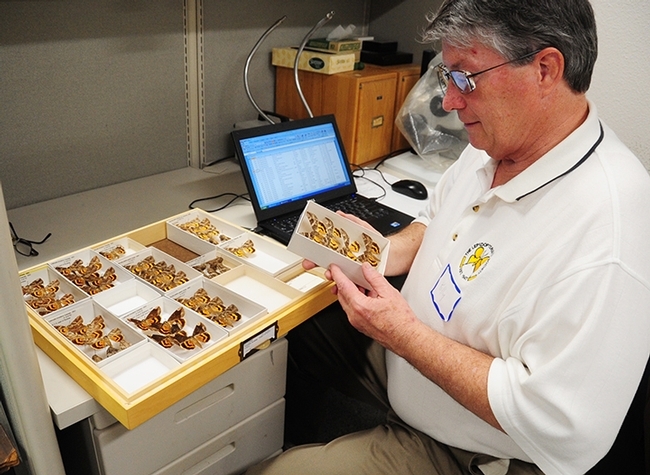 Richers, an Essig associate, was there working on underwing moths, genus Catocala, family Noctuidae. Catocala is Greek meaning "beautiful below." The common name, Underwings, "refers to the posture where the forewings are normally held together over the back at rest, hiding the hindwings beneath," according to BugGuide.net. 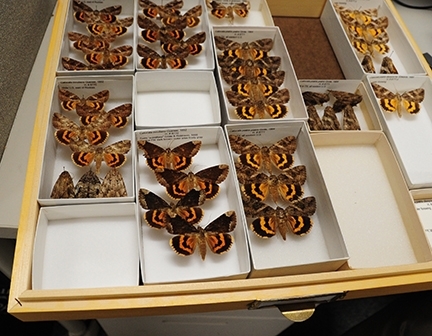 "Hence, the hindwings are the (bold and beautiful) underwings that this genus is known for." 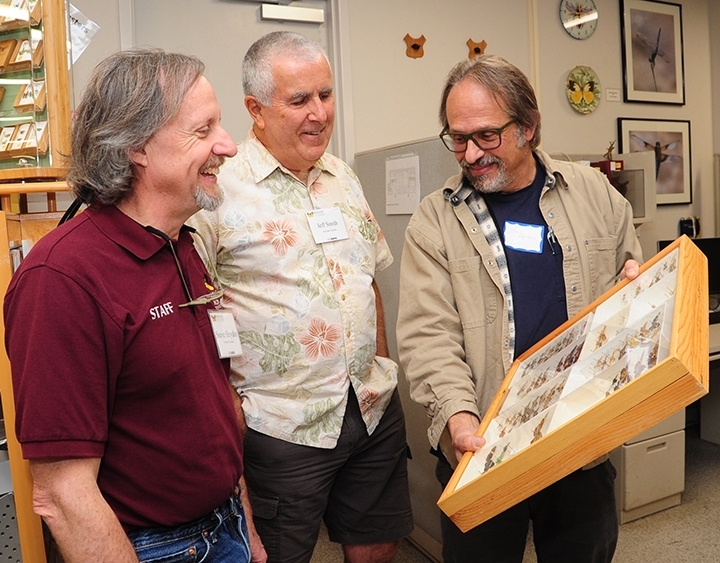 Richers compiles the California Moth Specimen Database, maintained at the Essig Museum since 1996 as a resource to better survey and understand California moths. If anyone had asked "Is there a doctor in the house?" 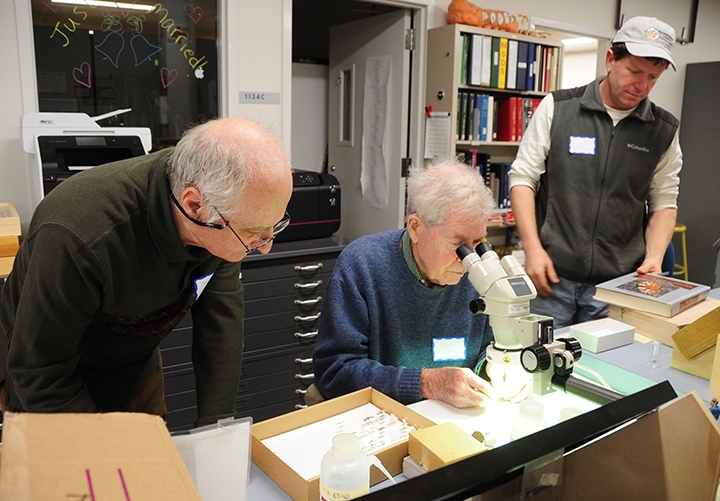 scores of entomologists with Ph.Ds may have raised their hands, if they weren't too busy studying or discussing specimens. 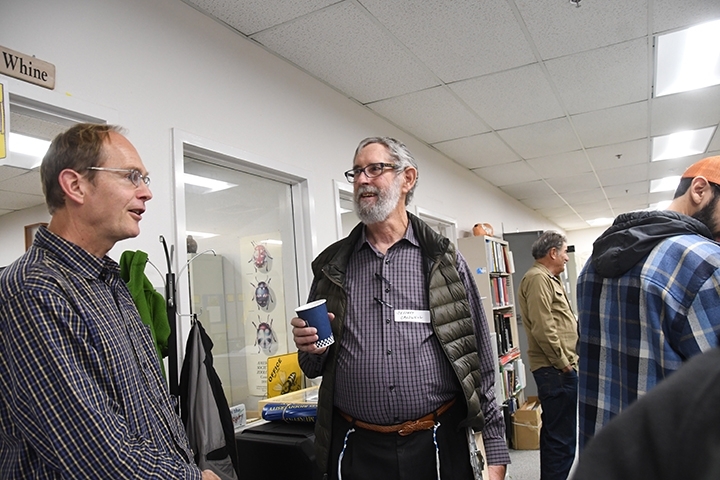 But there was at least one medical doctor there--Val Albu of Fresno, who was conferring with Bohart associate Jerry Powell, emeritus director of the Essig Museum, emeritus professor of entomology at UC Berkeley, and author of California Insects. 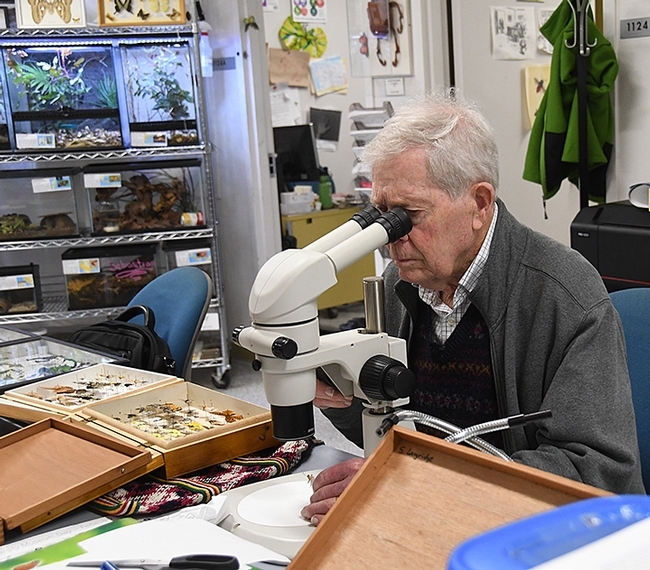 Powell's expertise includes the New World Tortricinae (Tortricoidea) and Ethmiinae (Gelechioidea). Marc Epstein, senior insect biosystematist for the California Department of Food and Agriculture and author of the newly published book, Moths, Myths and Mosquitoes: the Eccentric life of Harrison G. Dyer Jr., discussed specimens with Jeff Smith and Steve Heydon, senior museum scientist at the Bohart. 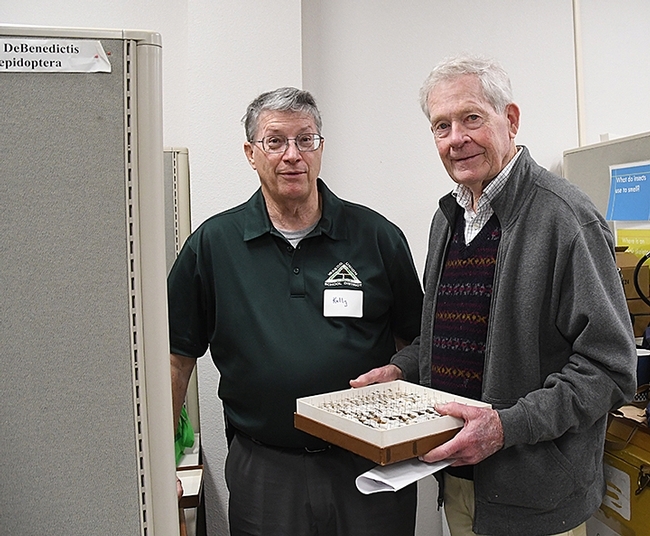 Entomologist Rick Kelson, who directs the butterfly habitat at Six Flags Discovery Kingdom, Vallejo, and associate curator Shanda Witham, associate curator, were there looking over specimens. 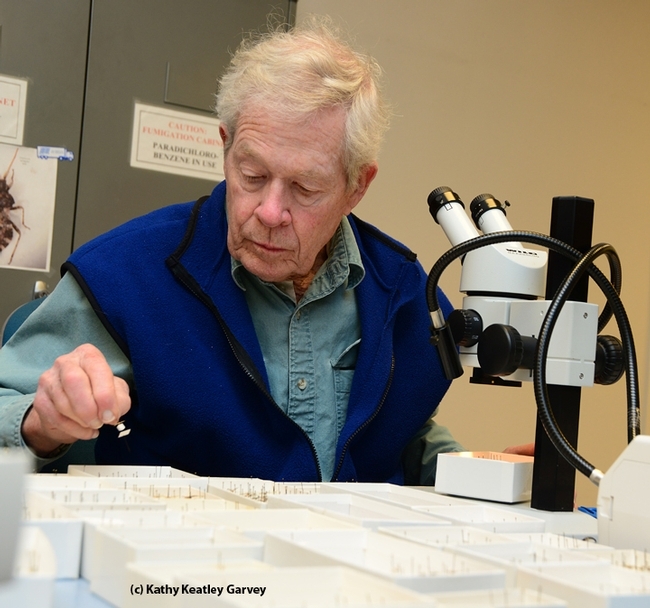 Kelson studied entomology as a graduate student with Art Shapiro, distinguished professor of evolution and ecology at UC Davis. The butterfly habitat at Six Flags is a 100-foot-by-50-foot glass atrium, and was the first major walk-through butterfly habitat in the western United States when it opened in 1988. Photos of the newly discovered moth, Neopalpa donaldtrumpi, briefly drew the attention of the lepidopterists. 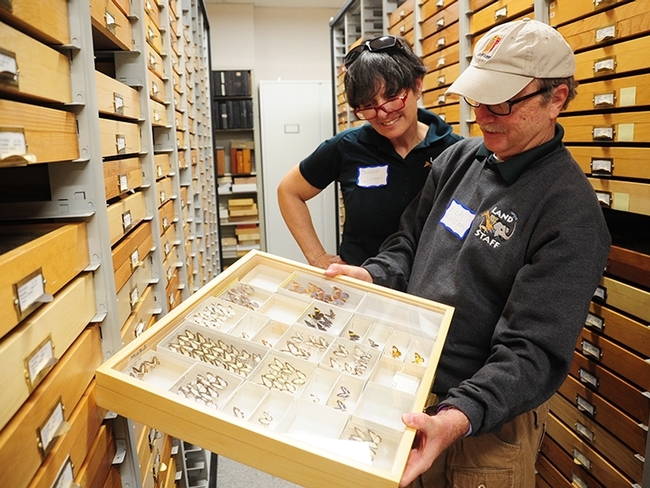 Bohart Museum associate/research entomologist Thomas "Tom" Zavortink and colleagues collected the tiny moth with the orange-yellow and brown wings in the Algodones Dunes, bordering Arizona and the Mexican state of Baja California. 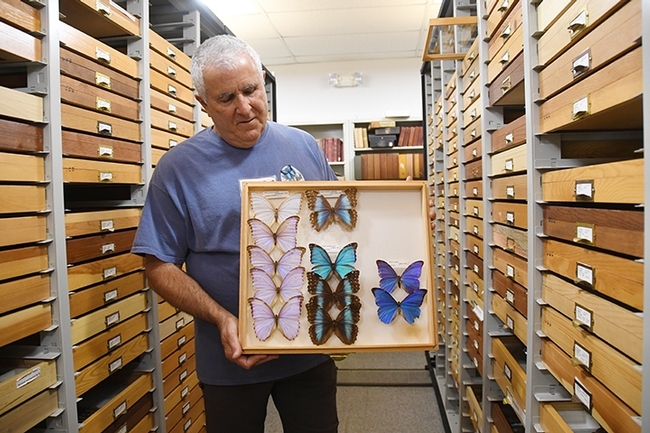 The moth was among insects loaned to evolutionary biologist and systematist Vazrick Nazari of Canada, who sifted through the collection and made note of the new species. He named it after President Trump, and published the data Jan. 17 in the journal ZooKeys. 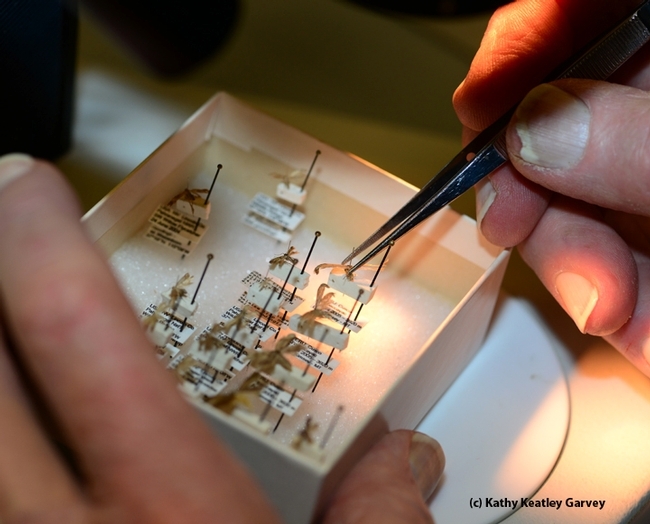 The Bohart Museum is directed by Lynn Kimsey, professor of entomology at UC Davis, is the home of nearly eight million specimens, collected globally. 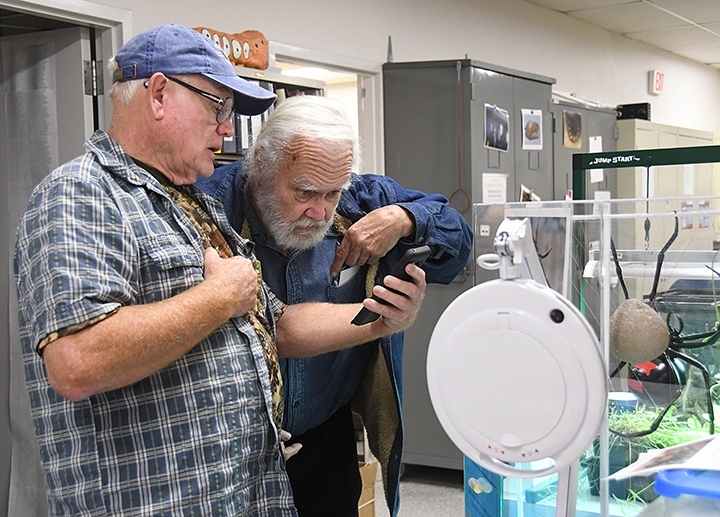 The museum, located in Room 1124 of the Academic Surge Building, Crocker Lane, is open to the public Monday through Thursday and also hosts special weekend open houses. 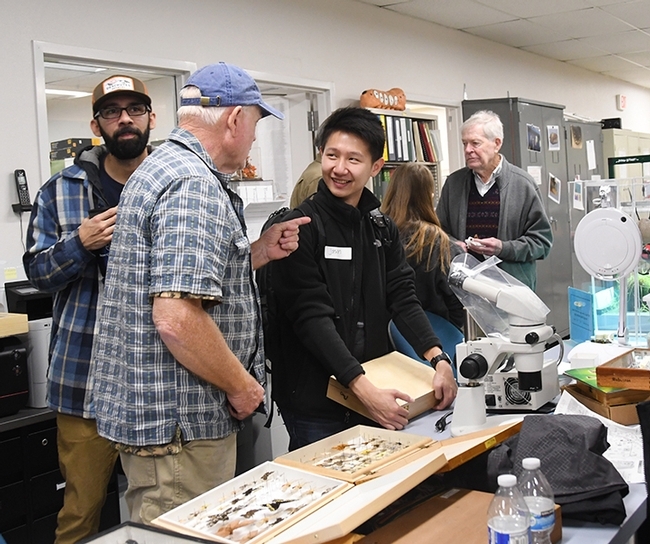 Meanwhile, the Bohart is gearing up for the sixth annual UC Davis Biodiversity Museum Day when the Bohart will be one of 12 museums or collections open to the public. The event, open from 9 a.m. to 4 p.m., will "showcase natural history, biodiversity and the cultural-ecological interface," said coordinator Tabatha Yang, education and outreach coordinator for the Bohart Museum. 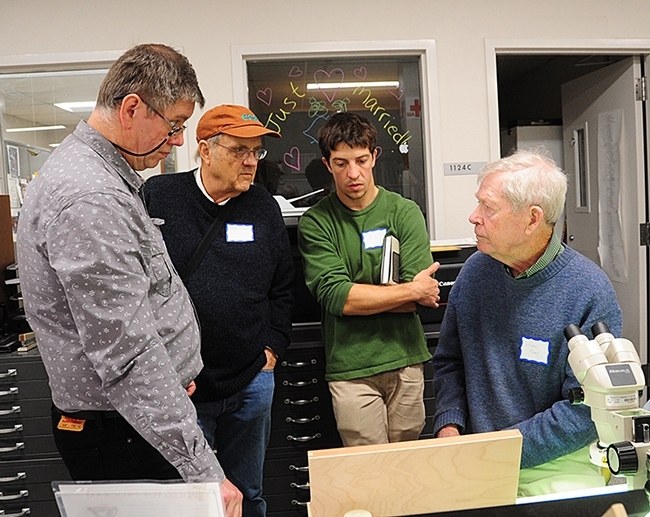 The open house is free and open to all; parking is also free. 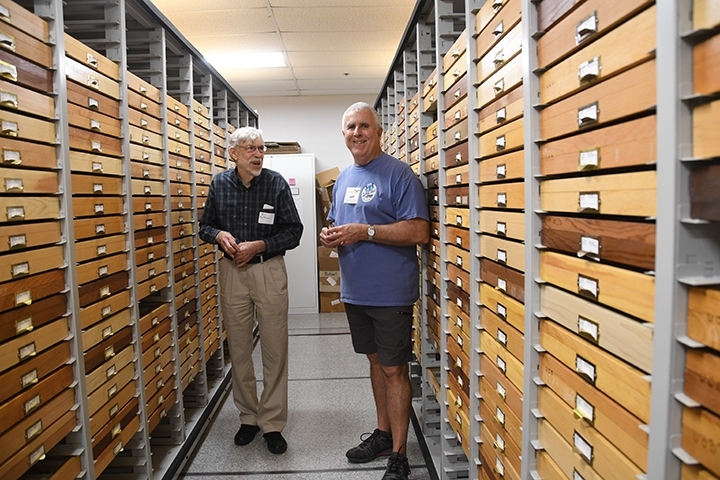 All collections are within walking distance on campus except for the Häagen-Dazs Honey Bee Haven on Bee Biology Road for the Raptor Center on Old Davis Road. "The T-square shape is classic," says butterfly expert Art Shapiro, distinguished professor of evolution and ecology at the University of California, Davis. 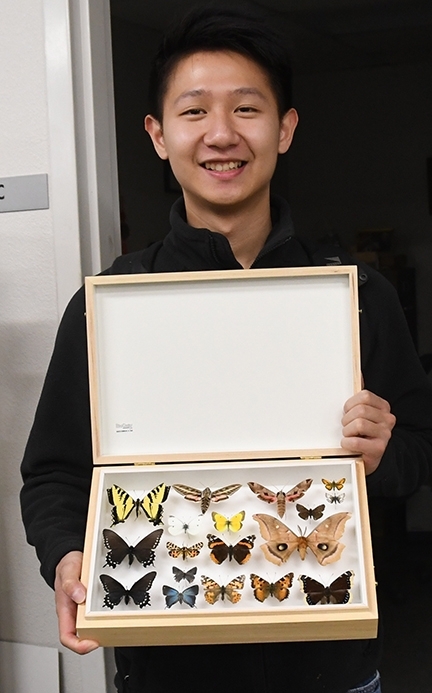 "They always sit with their wings stuck out to the side like that," says Lynn Kimsey, director of the Bohart Museum of Entomology and professor of entomology at UC Davis. 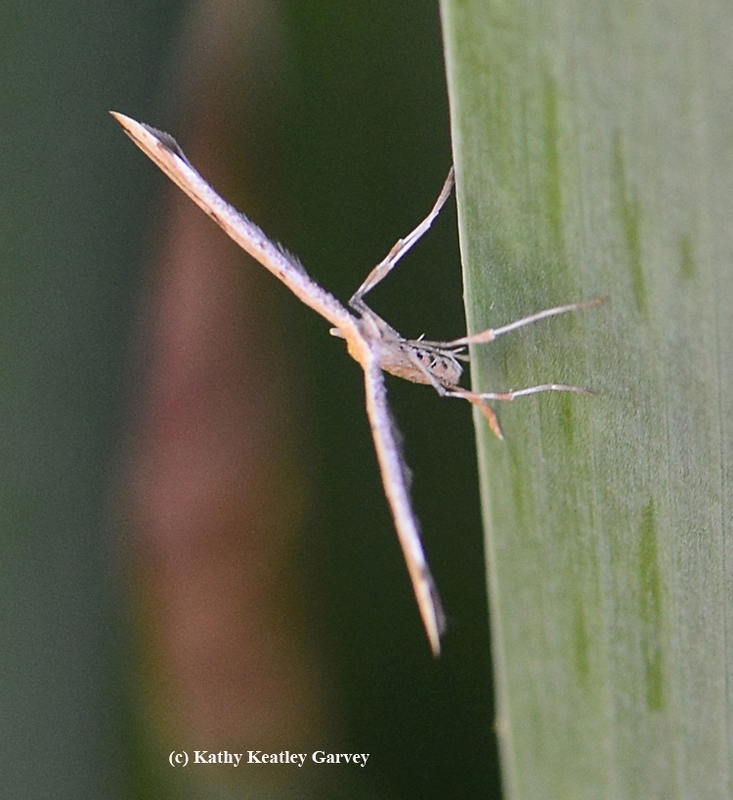 At rest, the plume moth (famlly Pterophoridae) holds its slender wings at right angles to body, giving it a T-shaped profile. In his book, California Insects, UC Berkeley entomologist Jerry Powell explains why they're called plume moths..."because the forewings are deeply notched and the hindwings are divided into three linear parts, each with long scale fringes. When perched, the insects roll the forewings around the folded hindwing plumes, resulting in peculiar sticklike or craneflylike appearance, unlike any other moth." Most are noctural and are attracted to lights, Powell adds. Scientists report some 159 described species in North America alone and more than 30 in California. In their larval stages, some plume moths are beneficial as biological control agents. 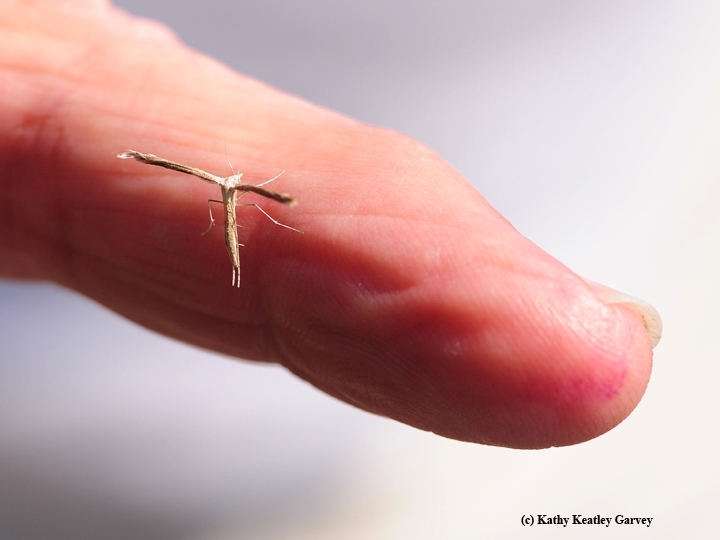 And some are pests, such as the artichoke plume moth, the geranium plume moth and the snapdragon plume moth. When you see them resting on a plant, however, the adults look a little like those wind turbines that stretch out in the hills of Rio Vista, Solano County. If you're looking for a cause to support, consider the Bohart Museum of Entomology at the University of California, Davis. 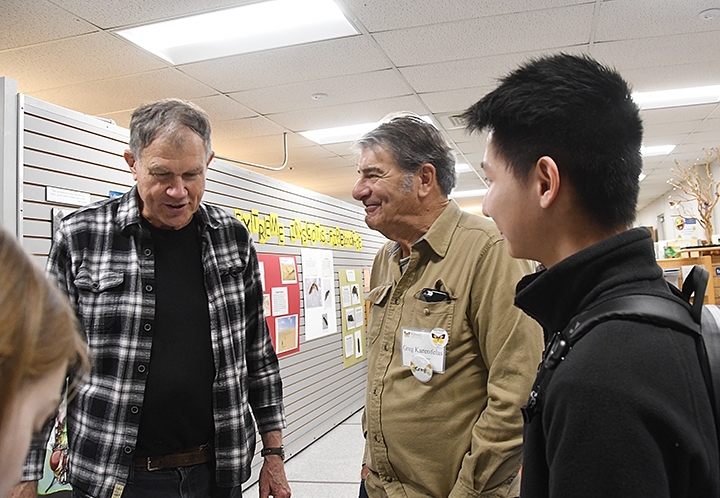 The museum crew, led by director Lynn Kimsey, professor of entomology at UC Davis, is enthusiastic, knowledgeable, and dedicated. They have gained a state, national and international reputation as a key source of information. 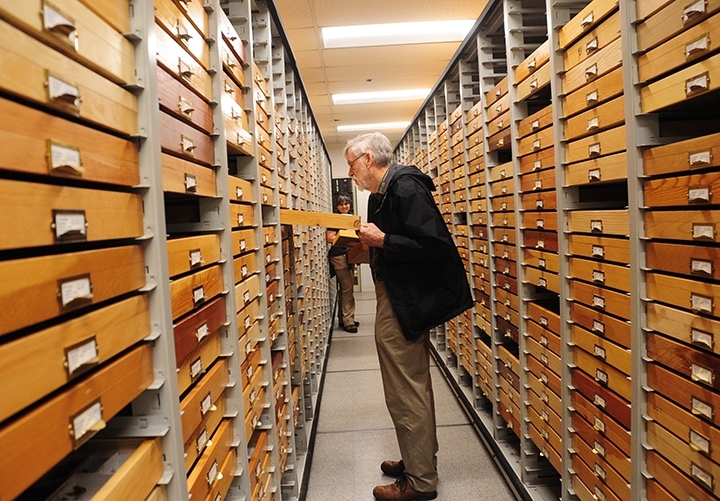 The museum houses nearly eight million insect specimens, collected from all over the world. In addition to the insect specimens, they maintain a "live" petting zoo that includes Madagascar hissing cockroaches, walking sticks, praying mantids and tarantulas. 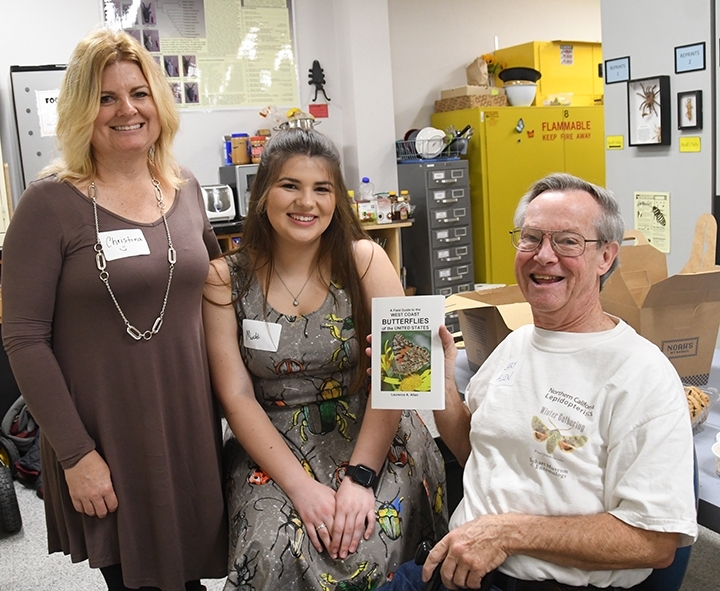 A year-around gift shop is stocked with t-shirts, sweatshirts, jewelry, books, posters, insect nets, butterfly habitats, and insect-themed candy. 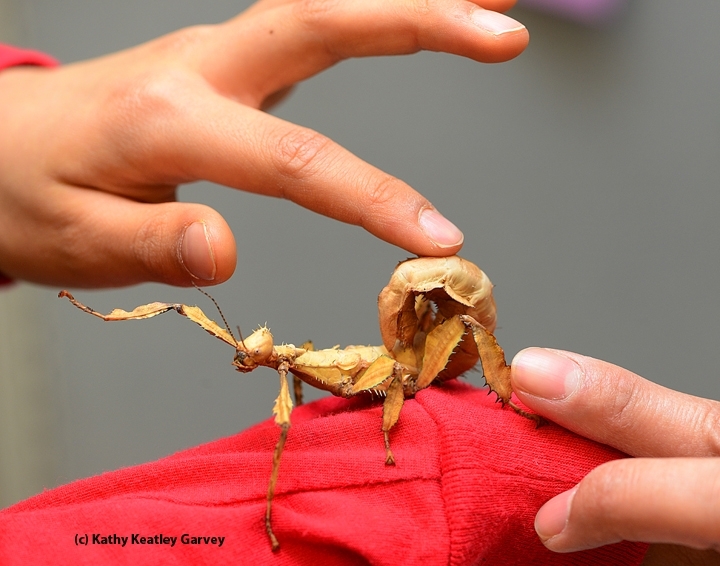 "Every year we have new insect adventures and those head-slapping moments when you think 'insects do that, really?'" 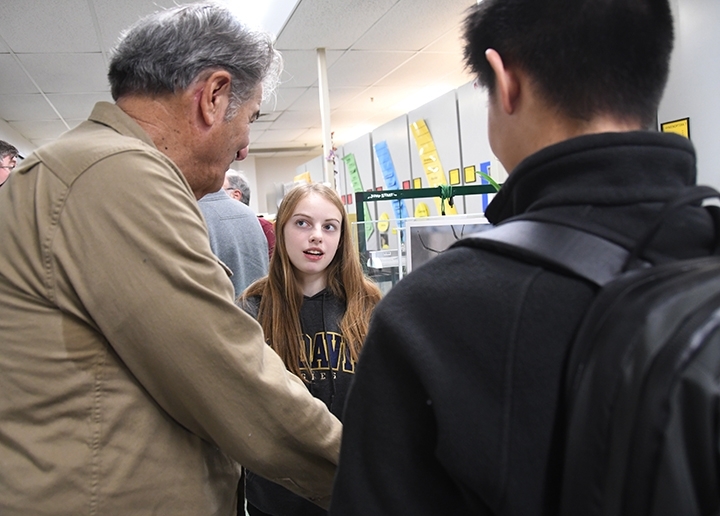 Kimsey wrote in a recent letter, adding that "2013 has been a very active year, with our staff and students strengthening our efforts to provide services and educational programs to the public. We are very proud of our dedicated group of volunteers and staff who bring insect-based programs to schools and public functions throughout northern California." As in the past, long-time supporters Marius and Joanne Wasbauer have given the Bohart Museum another challenge grant of $5000. "They hope that their gift will inspire others to give and they will match your gift, one-for-one, up to $5000," Kimsey wrote. "Funds from the campaign will be deposited in the museum endowment, which provides invaluable operating support to the museum, its collections, programs and staff." Folks can donate online at http://www.bohartmuseum.com. 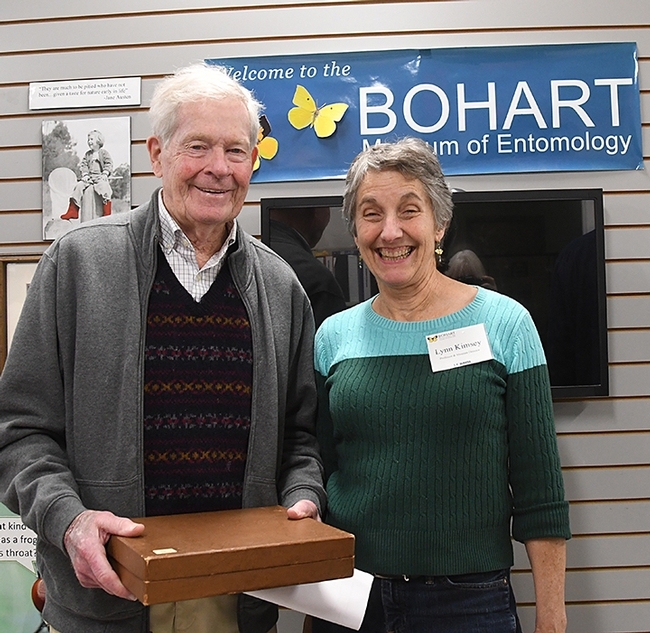 Folks can also sign up for a sponsorship of $2500 to be eligible to participate in the Bohart's BioLegay program and will be able to name one of the new species listed on the BioLegacy website, http://biolegacy.ucdavis.edu. This contribution could also be counted toward the Wasbauer challenge grant. 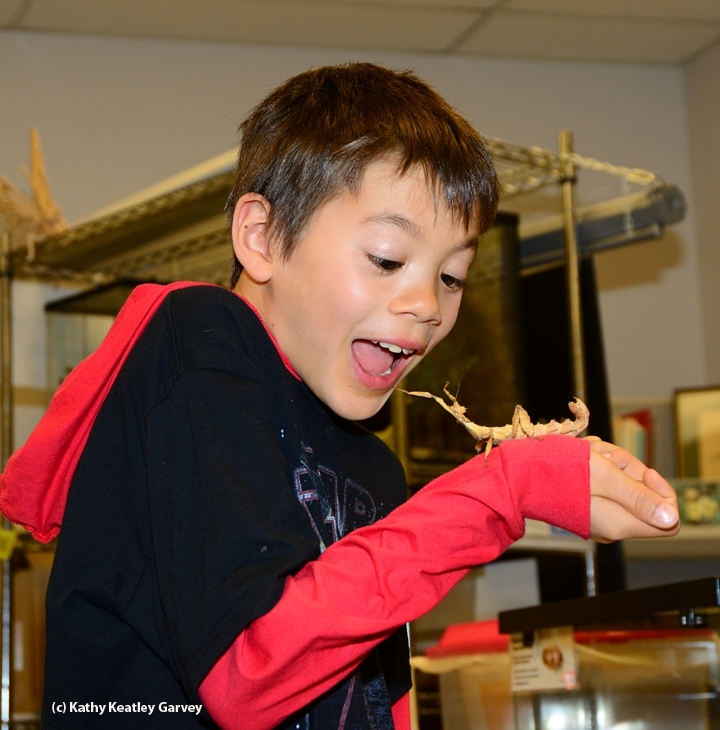 The insect museum is located in Room 1124 of the Academic Surge building on Crocker Lane, near the LaRue Road intersection. It's open to the public Monday through Thursday from 9 a.m. to noon and from 1 to 5 p.m. Special weekend hours are also offered, as are group tours. Contact Tabatha Yang, education and outreach coordinator, at tabyang@ucdavis.edu for more information. 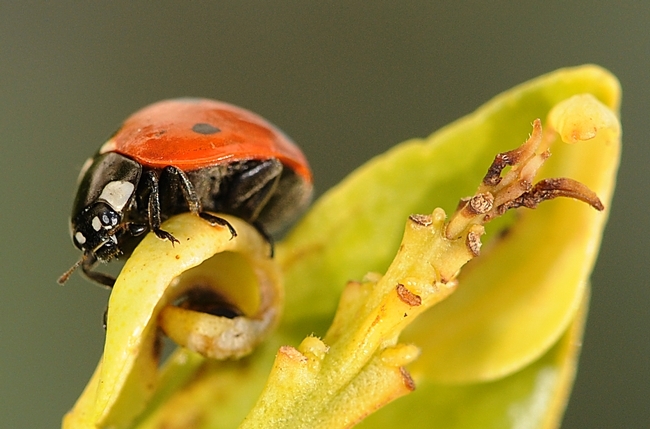 Photographers never tire of capturing images of ladybugs, aka lady beetles. First of all, they're beneficial insects. You know when you photograph them that they're about to scoot, crawl or fly off to grab a tasty lunch--an all-you-can-eat aphid buffet. Second, they're colorful. They brighten a garden, standing out like red Corvettes on a freeway. Third, they're among the most recognizable of insects. Halloween costume companies relish in creating polka-dotted attire for the 5-and-under set. Nobody will ask "What are you supposed to be?" Fourth, they're quite common. 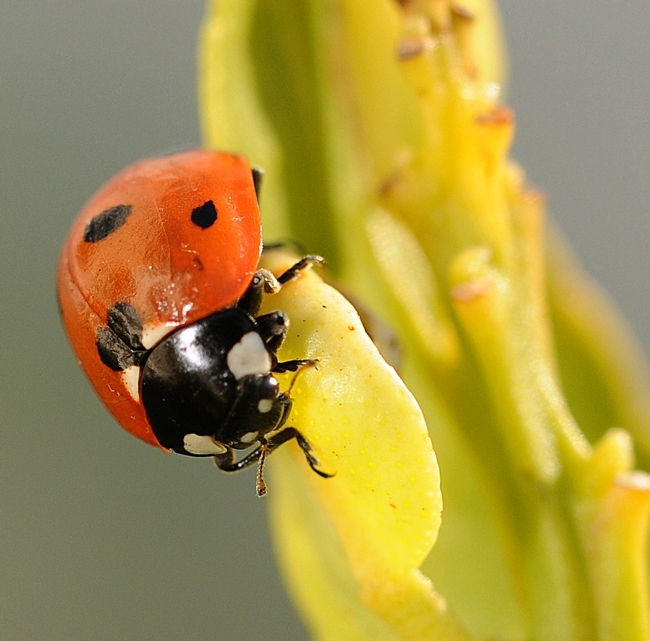 California alone has some 125 species of Coccinellids. Worldwide, there are some 5000 described species. 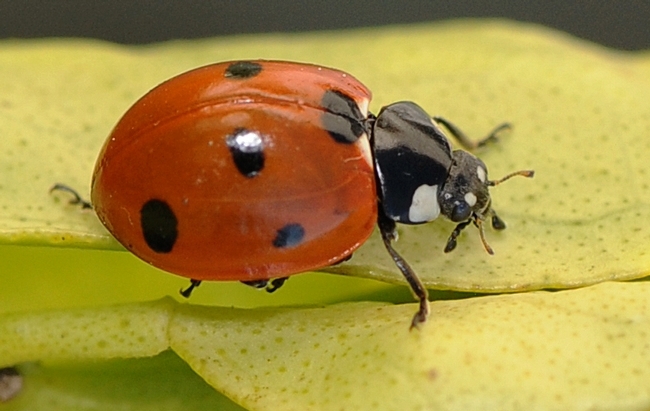 Not too many people know, however, that many species in the family Coccinellidae secrete a nasty fluid. As UC Berkeley retired entomologist Jerry Powell writes in his book, California Insects, "...when disturbed, many species secrete a bitter, amber-colored fluid that is believed to have poisonous effects on vertebrates..."
Indeed, their red and black coloring warns "Leave me alone!"